INCA Internet's Emergency Response Team has detected malicious file disguised the pic of Kim Jong Il. Its icon and extension is well manipulated as a normal image file, and it shows Kim Jong Il related images on executing. Therefore, general users can hardly notice about its being infected. With the death of Kim Jong Il, a bunch of malicious files are up in these days. December 20, 2011, INCA Internet's Emergency Response Team detected various malicious files related his death. If a user clicks that file and executes malicious attachment, that user can be infected by malicious file. With it, various phishing can be generated; therefore, users need to be careful on execute unofficial and suspicious news, image file, video clip and shorten URL. Especially, various attachments including(PDF, DOC, HWP, PPT, ZIP, EXE, and SCR) can be malicious. INCA Internet's Emergency Response Team has found another malicious file disguised the pic of Kim Jong Il. 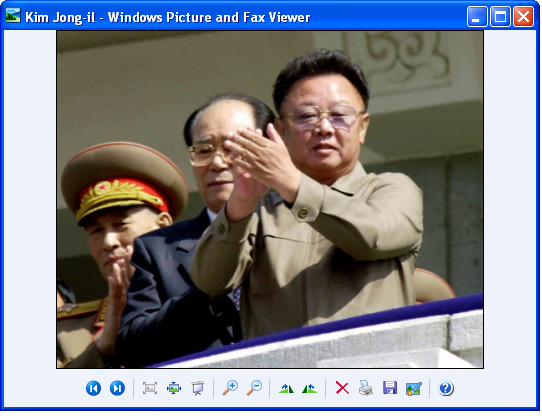 This malicious file is disguised as a picture of Kim Jong Il unlike previous malicious file used PDF, DOC vulnerability. Its icon adopted basic JPG and you can show its real extension when "Hide protected operating system files (Recommend)" is unchecked. Actually SCR file is for screen saver, and it disguised its extension to SCR. Besides, its file name can rise up Kim Jong-il. Users can be infected on executing. First, it creates Update.exe in Application Data folder with hidden property, then it creates Kim Jong-il.jpg in the same path of executed malicious Kim Jong-il.jpg.scr. Then it creates MSN Talk Start.lnk on startup, finally it removes Kim Jong-il.jpg.scr and it pretend that it isn't malicious. This malicious tries to access certain host, and it installs malicious files such as Kserver.exe, kserver.dll on Recycle Bin folder. Those two files are remote command Backdoor Server files, and attacker can get the permission of all administrators on victim's PC and can monitor. 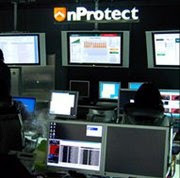 We found the malicious file "The Death of North Korea's Kim Jong Il.pdf" and added pattern on our nProtect Anti-Virus. Having trouble with a philosophy paper writing? Check out this guide, guys, should be helpful.